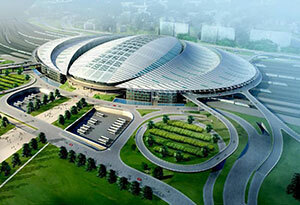 Beijing South Railway Station is shaped like a trilobite. 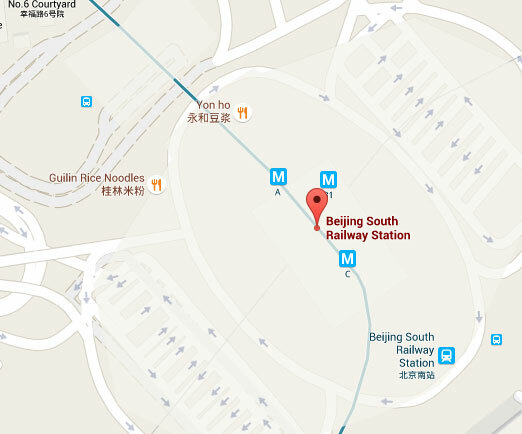 Beijing South train station is Beijing&apos;s main bullet train station for lines going east, south and northeast. 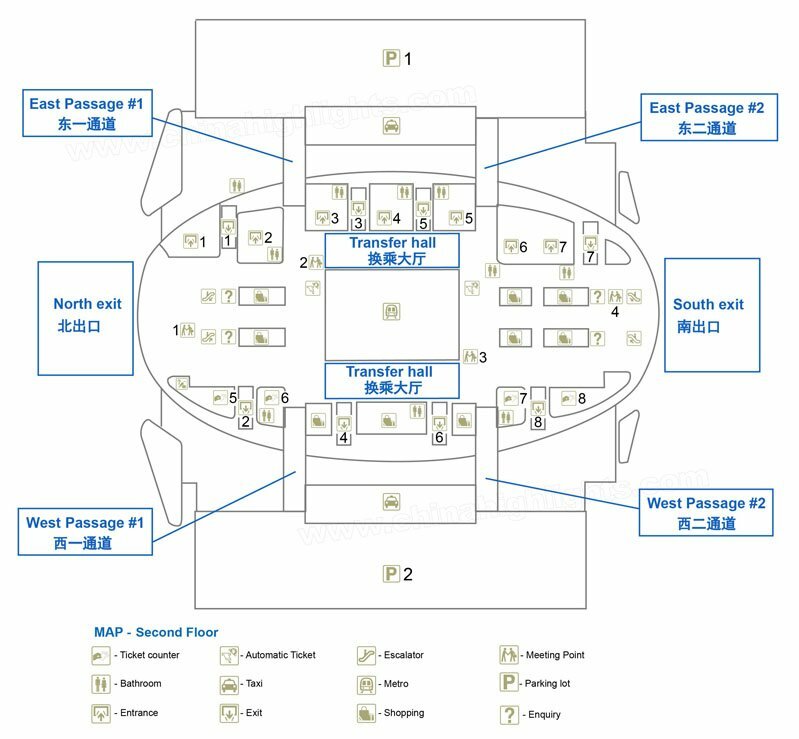 It is one of the biggest in Asia, but not as big as Beijing West that handles lines that go west and southwest. It is a metro hub station for lines 4 and 14, and its close proximity (about 4 miles, 7 km) to the Forbidden City and government offices makes it useful for transport of tourists and people doing business. 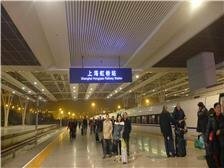 Lines and trains: It is a good choice for going to Shanghai (both bullet and regular), Tianjin, and other points east and southwards: Nanjing, Fuzhou, Tangshan, Qingdao, Hangzhou, Xuzhou, etc. 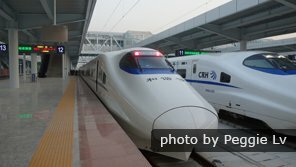 Travel time: It only takes about 5 hours traveling from Beijing to Shanghai, Qingdao and Suzhou, and about 6 hours to Hangzhou by G trains. High-speed G trains look like this. 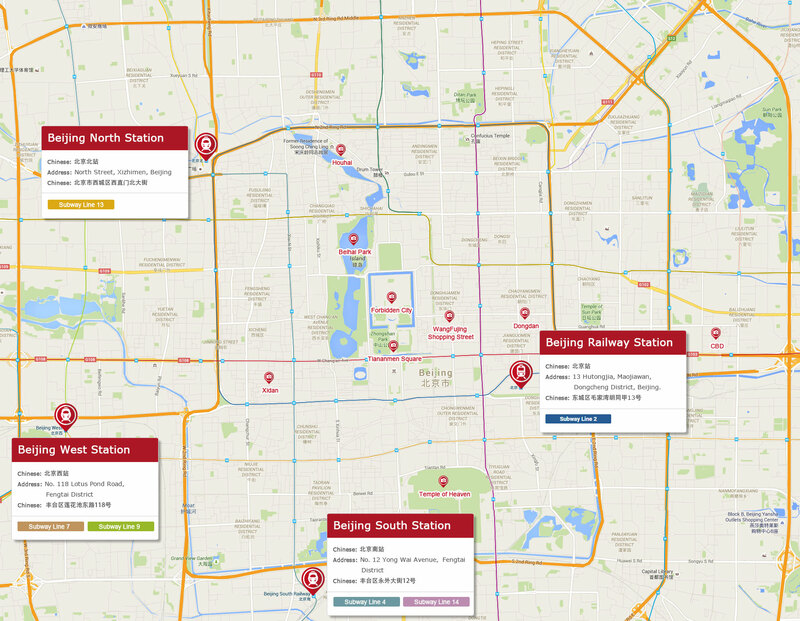 Conventional trains are available from Beijing Station a few kilometers away (see below) to the destinations above and others. They are cheaper, but they take two or three times longer. 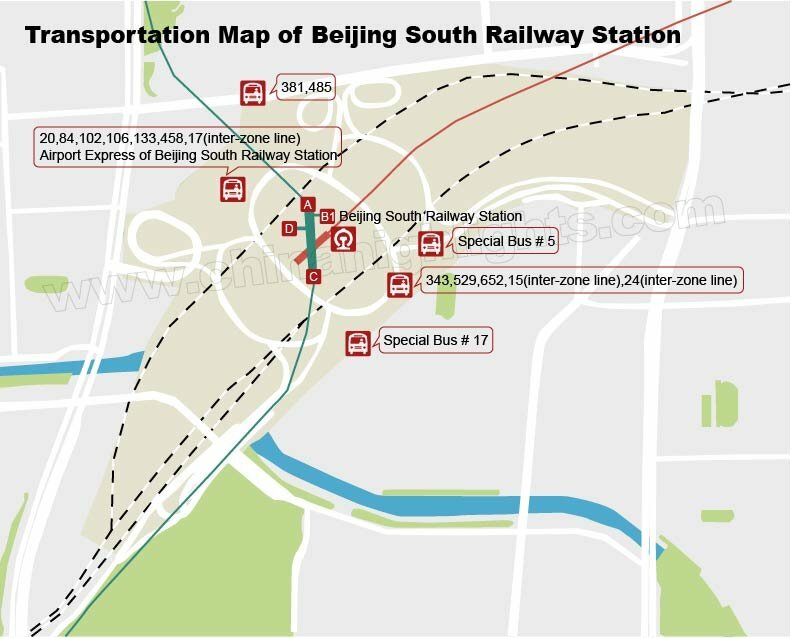 See our plan view to navigate futuristically-designed Beijing South Station. Check-in time: Please allow sufficient time to perform the departure procedures and check your baggage. Luggage portage: Ask the help and information desk staff at the east entrance if you need help getting your luggage on board or for other help. 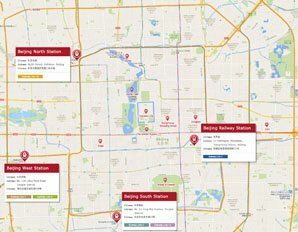 Since there are several train/bus stations in Beijing, be clear about which station you want when asking directions or taking a cab. The subway is cheap and convenient, but a taxi may be preferable if you have a lot to carry. For specifics on taxi fares etc., see Beijing Taxis. Buses are not recommended if you are unfamiliar with Chinese and the city. Lines 4 and 14 meet at the Beijing South Station. 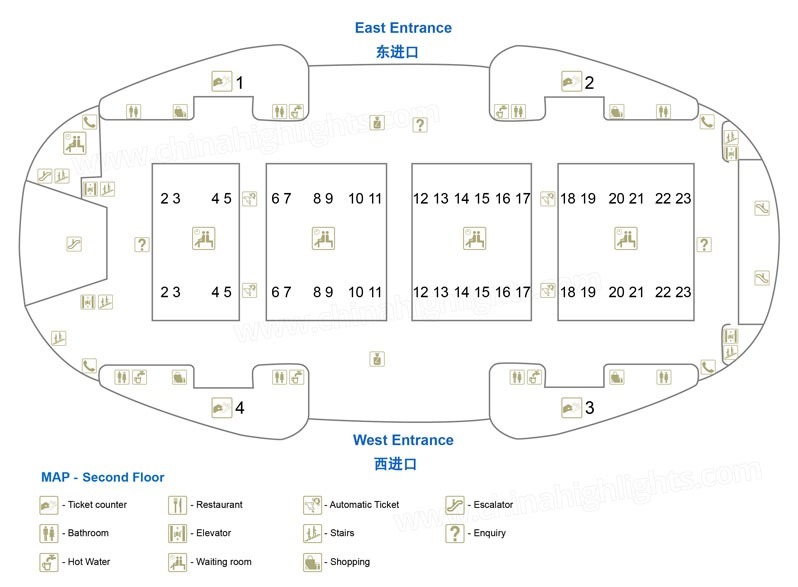 Line 4 connects with Xidan (one of the most popular shopping centers in Beijing), Xizhimen (the main subway hub, where you can change to Line 2 or Line 13), and many famous attractions and transport hubs in Beijing. Note that these lines get packed from about 7:30 am to 9:00 am and 5:00 pm to 7:00 pm. Line 4 to Xuanwumen (宣武门, 3 stops), then Line 2 to Beijing Railway Station (北京站, 4 stops). The journey takes about 20 minutes. Bus: Take a 20 bus to Tian’anmen East station. The bus journey might be a little longer at 45 minutes, but you don’t need to transfer. The Great Wall at Badaling is about 60 km from central Beijing. 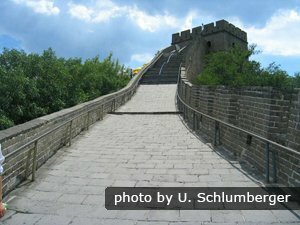 Badaling&apos;s Great Wall section is one of the top historical sites in China. 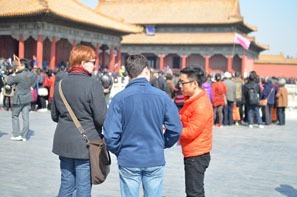 Our Badaling and Ming Tombs day tour provides private transport and you can modify the itinerary to go to other places too. The journey by public transport may take about 3 hours if you manage the time and transport well. 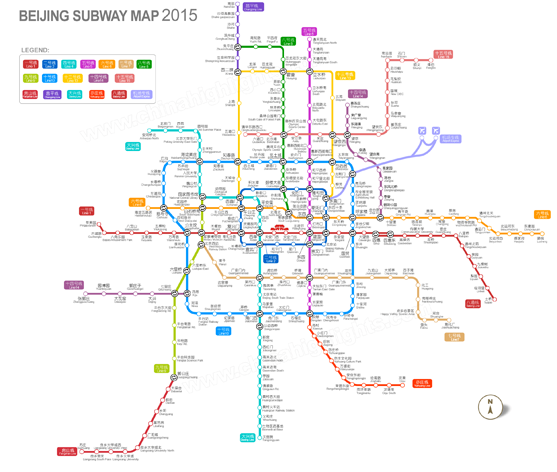 Line 4 to Xizhimen (西直门, 9 stops), then Yanqing S2 Suburban Railway Line to Badaling. When you buy a ticket, make sure it is for the station you want to leave from. Check the name carefully. To tour Beijing and Xi&apos;an by bullet train: You can use the bullet trains to quickly see highlights of China&apos;s top ancient capitals. Our private city transport and guiding will let you discover more in a relaxed comfortable way.